At midnight on May 23, 1915, the Armies of Italy were set in motion northward to seize and close the gateways of the Austro-Italian frontier, which extended 450 miles from the Swiss border to the Adriatic Sea, a stretch half again as long as that covered by the Allied front in Belgium and France. Throughout its greater part, this frontier was formed by the natural barrier of the Alps, whose myriad peaks tower miles in air, overlooking the sunny plains of Venice and Lombardy. Along this mountain barrier the Austrians had constructed a system of defensive works, which seemingly defied frontal attacks. From foothills to summits, these awesome Alpine slopes were seamed with parallel lines of trenches, protected by wire entanglements and with permanent gun emplacements and turrets fixed at intervals. To assault this mountain fortress in mass was deemed impracticable; only by attacking each fortified peak in separate operations and by relatively small bodies of troops might success be attained. Yet it was necessary to cover the whole extent of the frontier with Italian troops, lest the Austrians should pour down into the Northern plains of Italy. The actual goal of the Italian Armies, however, was not the Trentino and Tyrolean regions in the North, but Trieste in the East. The way to Trieste, through a 25-mile passage along the Isonzo River, between Cividale and the Adriatic Sea, was unopposed by the Alps. Instead, two parallel railways, some ten miles apart, led eastward from the Isonzo front, one from Gorizia following the course of a branch of the Isonzo River; the other from Monfalcone by way of Carso, following the seacoast direct to Trieste. The central pivot of the Isonzo River was Gorizia, surrounded by outlying forts manned with the latest improved guns. 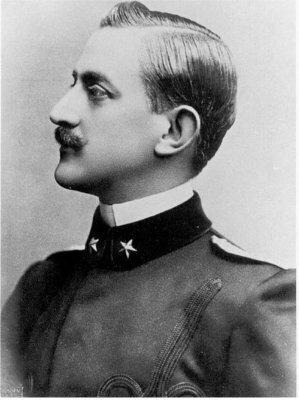 As the capture of Gorizia would deprive Trieste of her railway communications with Austria, its subjugation was the first real objective of the Italian Army. But while advancing eastward toward the capture of Gorizia, the Italian Army would be liable to attack on its flank through the passes in the Trentino. There were two Trentino gateways through which the Austrians might advance to attack the Italian Army in the rear. One of these was the ancient highway leading from Munich, Bavaria, which crosses the Brenner Pass and continues through the Adige Valley into Northern Italy; the other was the historic highway leading from Vienna, Austria, across the Pontafel Pass and thence through the depression between the Garnie and Julian Alps into Italy. It was vitally important that these gateways should be closed before Italy's main Army moved eastward toward the Isonzo. Accordingly, at midnight, on May 23, 1915, strong bodies of Italian Alpini and Berseglieri crossed the Trentino border, driving back the Austrian outposts along the whole front, at Lake Garda, the Adige Valley, the Dolomites, the Brenta Valley and at Stelvio. A second force moved eastward toward the upper Save, in order to cut communications between Vienna and the Trentino, and to close the Pusterthal Passage, which runs parallel to the Italian frontier north of the Julian and Garnie Alps. The main army moved eastward out of Venetia toward the Isonzo River. The Alpini, agile as chamois, and the Berseglieri, or sharpshooters, mounted on motorcycles, fearlessly advanced up the steep mountain roads of the Trentino and Tryolean frontiers in the face of the Austrian rifle and shell-fire. When half way up the slopes, the Berseglieri dismounted and advanced stealthily from rock to rock, and tree to tree, pressing the enemy before them. Within 48 hours, the Italian troops had occupied the highest points on the frontier and converted many of them into fortresses. Pressing on toward Trent, the Italians scaled the precipitous heights of Zugna, lifting their mountain guns to the summit to offset the Austrian long-range artillery. Cone Zugna, rising 6,000 feet in air, and dominating both the east bank of the Adige and the railway running north to Trent, was won after a stiff fight on May 31, 1915. Undismayed by the appalling odds, the Alpini swarmed up the towering heights, which bristled with Austrian guns, and on reaching the summit charged the enemy at the point of the bayonet. Six Alpini, after intrenching on the crest of a mountain near the Fourth Canton, held a force of 600 Austrians for three days until reinforcements arrived. Other small groups fought for days against greatly superior forces, crouching in crevices of the rocks or half hidden in forests and snow-banks. There was no restraining the impetuosity of the Alpini. With the cry, "Vive L'ltalia" on their lips, they hurled themselves against the Austrians and drove them back mile after mile. Though half a million Austrians were massed in the southern Tyrol and the Trentino, they were forced nevertheless, to evacuate all the villages lying between Sugana Pass and Lake Garda, while the Italians occupied every vulnerable position from Stelvio Pass to Grado, a distance of 306 miles. Raids were made in several places 20 miles inside the frontier. Sleeping in the hollows of the rocks and eating sparingly, the hardy Alpini in scattered bands dominated this long stretch of frontier for weeks, overcoming obstacles from which any other body of fighting men would have recoiled in dismay. The Austrians, meantime, had answered this invasion with a combined sea raid and airplane assault on the Italian cities along the Adriatic Coast, at 4 a. m. on May 24, 1915. The object of this raid was to delay the concentration of the Italian Army by attacking vital points on the main railway between Venice at the north and Brindisia on the south. Bombs were dropped on the arsenal, the oil tanks and balloon sheds at Venice, but happily none of the priceless art works of that queen among cities was damaged. A rain of shells fell upon Porto Cassini, north of Pavenna, in the vain effort to destroy the torpedo base at that place. Railway stations and bridges were bombed or shelled at Rimini, Sinigaglia, Mandredonia, and Westi. The open city of Ancona was shelled by warships, and the beautiful Cathedral of St. Ciríaco was damaged. Other undefended towns were shelled, contrary to the law of nations, including Barletta, Porto Cwitanoova, Porto Recavati and Bari. This outrage caused a cry of protest to ring out from all parts of Europe. The raid lasted only two hours and the Austrian fleet of 24 vessels returned in safety to the Harbor of Pola. The main army of Italy, commanded by General Luigi Cadorna, moving eastward, had crossed the Isonzo River on May 27, 1915 and advanced toward Montfalcone, 16 miles northwest of Trieste, while other strong columns had invested Gorizia and Grodisco. Within a week, the Italian batteries were bombarding Montfalcone and assaulting the heights of Monte Nero. Montfalcone, an important Austrian seaport, was bombarded by an Italian cruiser squadron on June 7, 1915, and the Castle demolished. Two days later, the Berseglieri, with the Italian grenadiers, pierced the Austrian line, forcing a passage of the Isonzo at the point of the bayonet, and began the development of the city. The pine-clad mountain slopes about Montfalcone were set on fire by the Austrians in the endeavor to stem the Italian rush, but the brave Alpini, storming the promontory of Rocca, occupied the lower section of the town. From the plateau, 1,000 feet above the town, the Austrians opened fire on the invaders with heavy howitzers. The Italians, undismayed, dragged their 3-inch guns up the precipitous cliffs, driving the Austrians from their stronghold. The way was now opened to Trieste. 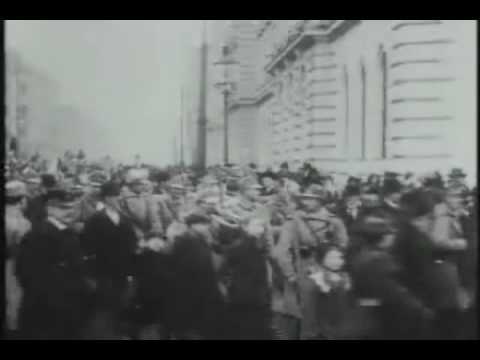 The Austrians in this engagement lost 2,000, the Italians, only 100 killed and wounded. The Italians, by their capture of Grodisca on June 8th, completed their control of the lower Isonzo. 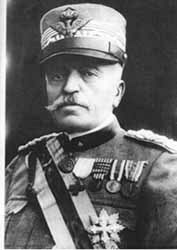 General Cadorna then ordered a simultaneous attack on all the strongholds guarding Trieste. Chief among these were the Carso table-land and the fortresses of Gorizia, Tolmino and Tarvis. The key to this series of strong defenses was Plava, occupying a salient in the middle of the Austrian line, on the eastern bank of the Isonzo. Under cover of darkness, on June 17, 1915, the Italians opened fire on Plava from their batteries on Mt. Korada across the river. Then, after throwing a pontoon bridge across the Isonzo, the Berseglieri crossed and carried Plava in a gallant bayonet charge. Massing 500 cannon on the heights overlooking Gorizia, General Cadorna now began the bombardment of the city. The artillery assault continued for weeks, Gorizia being one of the most impregnable fortresses in all the Carso table-land. The east side of Gorizia was protected by a broken, rocky wall rising 1,000 feet in places. South of the city, on a ten-mile front, the Austrian trenches were constructed of concrete, four feet thick, and covered with steel armor. Against these defenses, shrapnel and even high-explosive shells failed to do much damage. Four corps of Italian infantry, led by the Duke of Aosta and armed chiefly with hand grenades and short knives, were sent forward to take the forts, but were repulsed with heavy losses by 200,000 Austrians under Archduke Eugene and General Boroevic. The Austrians pursued the retreating Italians across the Carso Plateau. The Italians burrowed in along the slopes of the plateau in caves and holes, gullies and ravines, and strengthened their position with barricades of sandbags. Meanwhile, the Italians' cannon across the river were shelling the Austrian advance and compelling it to move cautiously. A series of battles ensued for five weeks, from June 22, 1915 to July 31, 1915, extending over the whole Carso front. Though reinforced, the Austrians in the end were driven back with broken ranks. On July 18, 1915, General Cadorna launched a new assault all along the Isonzo front. For three days and nights the battle continued, the Austrians finally being pressed back and yielding 3,500 prisoners. While the Austrians were retreating, many heavy howitzers had been rushed to the Carso Plateau from the other Austrian strongholds. 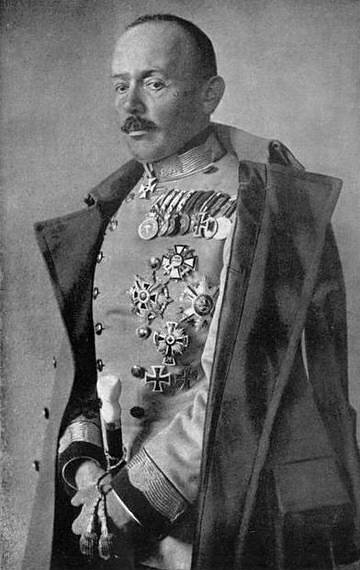 The Bavarian Crown Prince, too, had sent the Austrians generous ammunition supplies and several expert German gunners. Thus reinforced, General Bovoevic began a counter offensive on July 22, 1915, with a concentrated bombardment. The Austrian infantry, under cover of this fire, advanced in massed formation to take the bridges in rear of the Italians. The Italian line was on the point of giving way, when the Italian batteries on the opposite heights got the range of the Austrian columns and disorganized them. The Italian infantry now recharged and took 2,000 prisoners. The Austrians sought to recapture Montfalcone, only to be repulsed with heavy losses. On July 25, 1915, the Italians stormed the slopes of St. Busi and San Martins. At St. Busi, particularly, the fighting was sanguinary. Again and again the hill was won and lost, both sides being strongly reinforced and concentrating their artillery fire on the summit of the hill. On July 27, 1915, the Italians again stormed the Plava Heights and St. Michels with bombs and bayonets. Though they gained both summits, they could not retain the positions, so withering was the enemy's artillery fire. Gorizia itself seemed impregnable. Further assaults on the stronghold therefore, were postponed. The Italians and Austrians each are said to have lost 150,000 in this engagement. The most ingenious and spectacular charge in modern warfare was a feature of this campaign. The mountain of Korada, between the Isonzo and the Juario, commanded the middle course of the Isonzo River. Its slopes were protected by a network of permanent trenches and barb-wire entanglements. If Italy was to be protected from invasion this mountain must be taken quickly. Lacking heavy field guns to reduce the wire entanglements, the Italians adopted a most ingenious expedient to assist the infantry in seizing the heights. A herd of fierce bulls had been concealed near the center of the Italian line. As the Italian bombardment proceeded, the bulls were wrought to a high pitch of frenzy by the concussion. Suddenly let loose, the bulls charged furiously up the mountain slope, tearing the wire strands apart like so many ribbons. 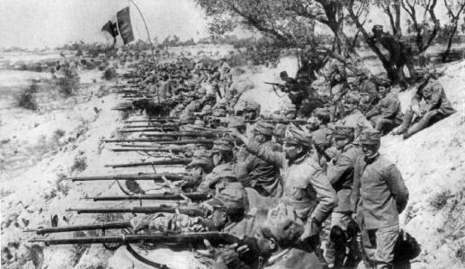 The Italian infantry followed in their wake with fixed bayonets, crowding- through the gaps in the wires and capturing the Austrians' position without difficulty. Under cover of a heavy fog, on May 29th, the Austrians had concentrated an enormous force at Manthon. From this point they made five successive efforts to retake the pass of Monte Croce in the Garnie Alps. The Alpini, fighting brilliantly against insuperable difficulties, resisted every effort to expel them. When the last Austrian charge had failed, the Italians, springing from their trenches, drove the Austrians down into the valley. The Italian Alpini, by climbing through ice and snow over Paralba Mountain and fighting their way downward, had stormed and taken the passes of Cregione and Valentina, together with the heights of Friekhofel, on June 8, 1915. A week later the Austrians assembled a huge army and endeavored to retake the passes as a preliminary to attacking the Italian flank, and pouring through the passes into Italy. Fully 100,000 men on both sides were engaged in this unique battle above the clouds, dotting the snowclad slopes and ravines for many miles around. The two armies came to close grips, man to man, along those icy mountain slopes, until the bayonets dripped blood. At one time the Austrians had actually gained Paralba, at a height of 8,840 feet, but being threatened in the rear, they hastily retreated to the huge mountain of Stein- ward, overlooking the Gail Valley. THE capture of Cortina, 4,000 feet high, in the Dolomites was one of the seemingly superhuman exploits of the Italians in the first months of the War. The Austrians had barricaded the historic road that winds around the slopes. Despite these obstacles, and the hurricane of shells from the Austrian guns, the Italian artillerists hauled their guns up through the mountain defiles, while the Alpini ascended the mountain on two sides by way of the glaciers of Serapis, taking the various heights of Cortina. Another feat almost unparalleled in warfare, was the taking of Falzarego Pass by the Italians, June 9th. The Italians, though confronted by a fortified position 10,000 feet in the air, nevertheless pushed on almost to the summit, compelling General Dankl to hurry up reinforcements to protect his flank. They all but succeeded in cutting the railway which carried food and munitions to both the Trentino forces and those in Southern Tyrol. Their brilliant action had the effect of discouraging the Austrians from invading the plains of Italy. The valor of the Italian infantry was effectual in protecting the Italian frontier cities from artillery attacks. The Austrians were supplied with the great Skoda guns, reputed to be the best in the world, while the Italians were rather weak in artillery at the outset of the War. General Cadorna's lightning dash through the Austrian passes prevented not only an Austrian invasion through those passes, but also the effective use of the Austrian heavy artillery. After establishing their hold on the frontier, the Italians moved cautiously for a few weeks to give their own armament factories time in which to manufacture big siege guns. When these guns did finally move toward his army, and to facilitate their transport, General Cadorna was obliged to build strong bridges across swollen rivers in the face of the Austrian artillery fire. The Austrians rendered the movement of artillery more difficult by breaking down the high embankment used in carrying off the snow water and allowing the mountain flood to inundate the Italian valley below. Farther to the north, amidst the towering heights of the Alps, a hundred battles were fought at three principal points,—the Carnic Alps, the passes of the Dolomites and the Trentino salient. Monte Nero formed a rampart of rock that could have been defended by a regiment against an army corps. The Austrians, from overconfidence, had grown neglectful in guarding it. One night, when the Austrian sentries were asleep, the Italian Alpini, swarming silently up the mountain, silenced the sentries and captured the garrison without difficulty. Possession of Monte Nero gave the Italians a base from which to shell the forts of Tolmino and Tarvis, but these being the two strongest positions in the whole chain of Austrian defense, defied reduction. The Italian howitzers soon, however, demolished Fort Hensel and other permanent forts. The Austrians, during June, 1915, sacrificed whole brigades in attempting to recover the peak of Freikofel which had been seized by the Alpini in the first advance of the Italian Army a month before. The capture of Zellenkofel, an important observation peak, by the Italians on July 6, 1915, was an example of their daring methods. In the dead of night, a small body of Alpini climbed up the almost sheer precipice, 1,000 feet high, carrying with them ropes and a maxim gun. Having reached the summit, they opened fire on the Austrians defending the mountain and annihilated the entire force. The Austrian battery on the opposite slope now belched forth, silencing all the Italian guns, but all the attacks by Austrian Reserves failed to shake the Alpini from the mountain. In August, 1915, the Austrians having been so strongly reinforced, General Cadorna ceased his offensive, being unwilling to send his men to certain slaughter. During their brief campaign the Italians had advanced more miles across towering mountains than the Allies had done on level ground. The Austrians, it is true, still held their main defenses, but they had been compelled to send for reinforcements from other battlefields, and were unable to aid Germany either on the Western or the Eastern front. The Italian casualties during the three months totaled 25,000; the Austrians lost 80,000 in the same period. In many ways the Battles of the Isonzo mirrored those on the Western Front, albeit on a smaller scale. As with the ongoing battle raging in France and Flanders the lines across the Isonzo were defined by the onset of trench warfare. For a single-article background to the Isonzo battles click here. Despite having been part of the pre-war Triple Alliance with Austro-Hungary and Germany, in 1914 Italy had remained neutral. Over the next few months both sides attempted to convince the Italians to join them. The British and French had a big advantage in this effort – the Italians had claims on two parts of the Austro-Hungarian Empire. 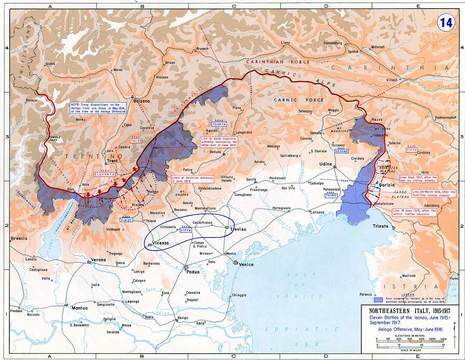 At the end of the Italian Wars of Independence two major Italian speaking areas had remained within the Empire – the Trentino, north of Lake Garda, and the Littoral, the lower Isonzo valley and the area around Trieste. The Allies were able to promise that Italy would receive these areas at the end of the war; and so on 23 May 1915 Italy declared war on the Allied side. The Italians had one major problem in 1915. Their 400 mile long border with the Austro-Hungarian Empire ran through the Alps. In some places the mountains were so rugged that no offensive could even be contemplated. The only real gap in the mountains led along the Adriatic coast to Trieste, but that was a dead end, surround by more mountains. If the Italians were to launch an effective assault on the Austrians, then it would either have to be on the Trentino, or towards the Isonzo valley.